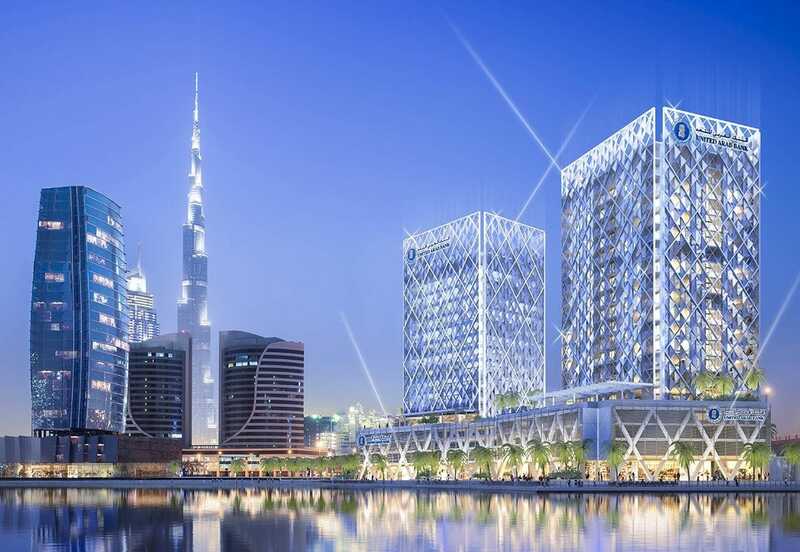 A 76,000sqm mixed-use development in two sparkling glass towers close to the Burj Khalifa in Dubai. 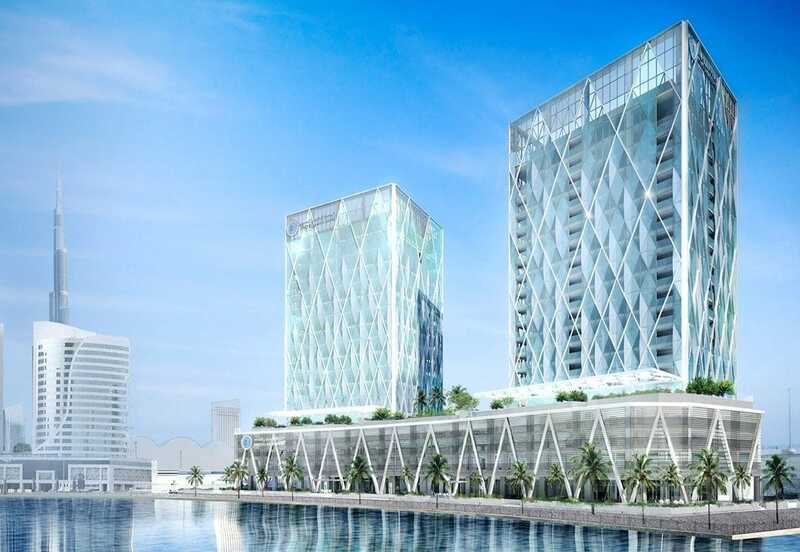 The Business Bay Towers development will provide high quality office space, a flagship bank branch and waterfront retail promenade. Accommodation includes 108 luxury apartments, 600 parking spaces within the basement and podium, landscaped terrace gardens with swimming pools and a children’s play area, together with two gyms, leisure spaces and a secure data centre. The two towers are clad in shimmering, triangulated curtain wall glazing to reflect the sun and water, flowing up from complex and articulated to smooth and crystalline. 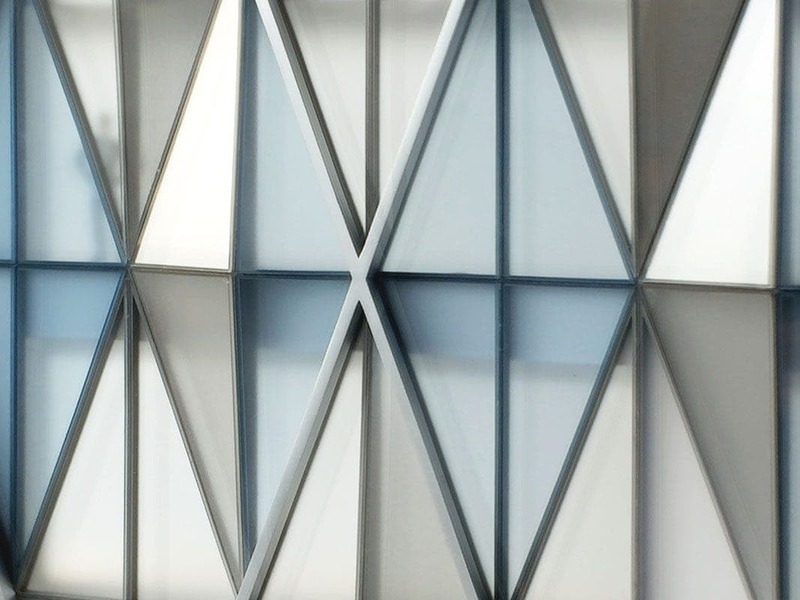 They will be formed with an angled curtain wall system, providing a dynamic appearance with a rational and repetitive external envelope. Three separate glass tints will offer richness and articulation, with two blue shades and a mirrored grey shade to add texture. 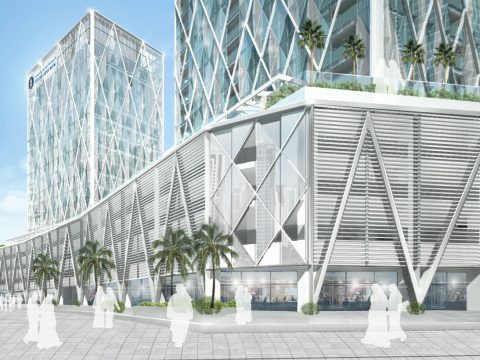 The retail arcade at promenade level will add life and activity to the development as an engaging urban setting. Rich landscaping and seating areas will be provided up to the plot boundary to link with the wider Business Bay pedestrian landscape.